Online dating surges in popularity during the months between Thanksgiving and Valentine’s Day. Something about having to mingle through so many holiday parties, and being bombarded by endless images of couples cozying up near a fireplace, makes all of us long for love. 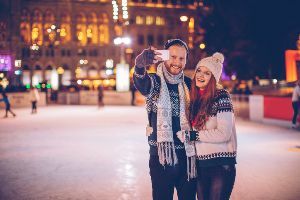 So if you’re looking for someone of your own to cozy up to during the holidays, here are 5 reasons why ‘tis the season to head online. 1. No one wants to go stag to holiday parties. From holiday work parties where the punch seems to always run out too early, to family get together where you’ve got to dodge questions about your love life, having someone to drag along to these shindigs makes the whole experience a lot easier to handle. 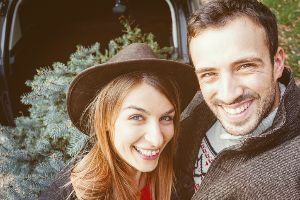 And one of the best places to find your plus one is on a dating site like Zoosk​, which is one of the most popular dating sites worldwide. 2. Breaking from routine leaves you open to new adventures. Getting away from your regular day-to-day routine will open you up to try new things - whether that’s approaching a stranger at a bar, messaging someone on a dating site, or simply saying yes to a date you would’ve otherwise passed on. Not only do you have more free time to sift through dating profiles and tweak your own, you’ve also got more time to actually go on dates. No more excuses about early morning meetings. So stay out, sleep in, and live a little. 4. Because no one likes being bombarded with holiday photos on social media. When you’re single, scrolling through Facebook during the holiday season is online equivalent of standing alone at midnight on December 31 watching everyone else lock lips. It can make you feel like you’re the last single person left on Earth. But when lonely hearts meet, magic can happen. So close the Facebook browser and swap those newsfeed photos for some photos of eligible singles looking for the perfect remedy for their own lonely hearts. Try a quality site like Elite Singles, which is specifically tailored to career-focused singles with high standards. 5. Cuz baby it’s cold outside. Leave the bar pickups for the college kids home on break. Because on a cold, frosty winter night, what’s better than staying in and browsing through dating profiles in your sweatpants? So this season, don’t avoid the mistletoe. Get in the holiday spirit and head online to find someone special with whom you can start making some new holiday memories. Need a little help getting started? Check out our reviews of the best dating sites.